Lamar County Genealogical Society February meeting will be at 7:00 pm on Tuesday (Feb 12). Our speaker will be Rita Ownby Holcomb. Rita Ownby Holcomb is a fourth generation Texan and an active member of The Daughters of the American Revolution and The United Daughters of the Confederacy. 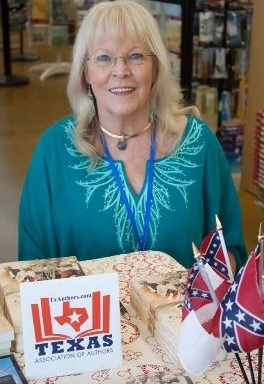 Her genealogy research led to the birth of the A Twist of Tobacco series and now Tennessee to Texas a non-fiction compilation of research materials. After serving as an elected Sherman City Council member, she retired from civil service. She was listed in Who’s Who in American Women in 2000 and Who’s Who in America in 2003, Rita is now a full-time author. Married since 1972, she and her husband, Darrell, have one son, Stuart. You do not have to be a member to attend meetings of the Society, so please come and bring a friend. The Lamar County Genealogical Society and Library is located at the south entrance to the historic Santa Fe Depot, 1135 Bonham Street, Paris. Next Have You Been Bullied?